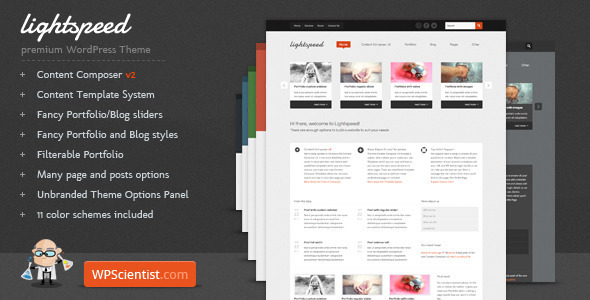 Thanks to the generousity of WPScientist, once again we are giving away a new WordPress Theme called Lightspeed from WPScientist. WPScientist creates high quality WordPress themes and all of theirs themes have a poweful built-in content composer that allows users to customize the content layout via a drag and drop system. Congratulation to all the winners :) You will be contacted by WPScientist for your freee high quality premium WP Theme - Lightspeed! Stay with queness, we will be having a lot more giveaway in these few weeks. it's cool if I get this.. Awesome! Would help me out a lot!